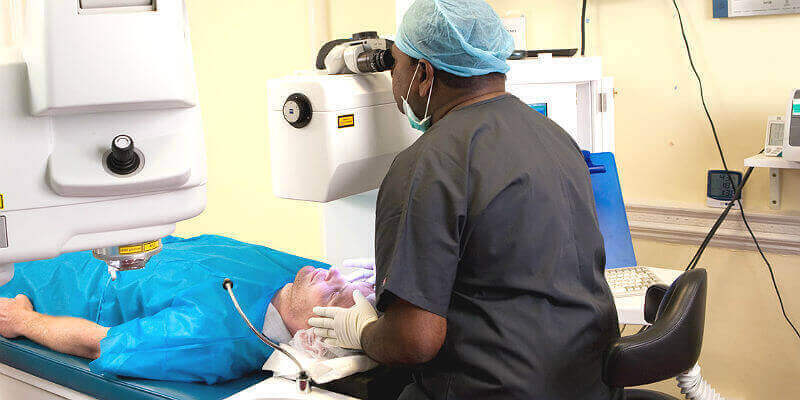 Bespoke laser vision correction – or Laser eye surgery (both LASIK and LASEK) – is now safer than ever, and, with Advanced Vision Care, you will undergo the bespoke vision correction treatment that you deserve. AVC utilises the advanced Bausch and Lomb Zyoptix System to provide our laser eye surgery patients with personalised and highly accurate visual analysis. The Zyoptix diagnostic laser eye surgery workstation gives a remarkably precise map of each individual eye. By combining data from two types of diagnostic devices – the Orbscan topographer and Zywave aberrometer – our surgeons use this data to programme the laser with your unique eye treatment requirements. Superior and safe, the Zyoptix system combines advanced corneal mapping technology with wavefront LASIK procedures, refining the visual analysis process and providing the most complete and customised treatment planning available. These exceptional systems use an active eye tracker and small scanning spot technology to provide safe and accurate vision correction. The system’s scanning technology also ensures that the laser pattern is precisely placed in the desired location. Because the Zyoptix system identifies visual aberrations, or imperfections, your vision correction treatment using this technology can improve the quality of your vision and reduce potential post-operative problems. The innovative features of the Bausch and Lomb laser systems allow for a wider treatment zone, minimising the risk of night vision problems and other undesirable laser eye surgery results that are common with less advanced technology. The exceptional benefits of this Bausch and Lomb Zyoptix system with its innovative technology allows Advanced Vision Care’s eye surgeons to achieve highly accurate laser results. Advanced Vision Care proudly offers the most innovative laser systems to help maintain the safety, accuracy and value of your treatment. The latest Bausch & Lomb laser technology systems we use helps us to provide consistently superior results for our laser patients in a safe manner. If you would like to find out more about the laser eye treatments available at Advanced Vision Care and the amazing technology we use and what it can do for your eyesight, then why not call AVC TODAY on 0800 652 4878 and request your free information pack or book your consultation to find out how we can help you.